Two weeks ago I saw an article in the Japan Times titled: “Nagoya hospital taps Toyota’s famed workflow to reduce staff errors”. 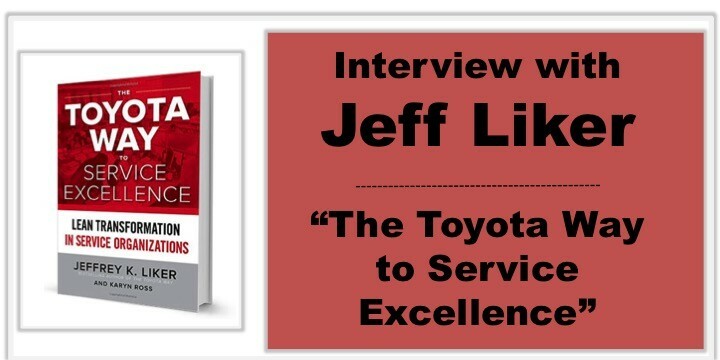 My interest was immediately piqued given my recent exploration over the past two years into the application of Toyota Production System (TPS) and Lean thinking methods in healthcare in Japan. As I’ve written about in many posts such as one titled “What does Lean mean in Japan? Are Japanese hospitals practicing lean?”, what we know as TPS or consider “Lean” in the Western world is not actively practiced by most hospitals or healthcare organizations (or service organizations in general) in Japan. There is a decades deep practice of Total Quality Management (TQM) in healthcare, in which some Japanese hospitals such as Nerima General and St. Luke’s in Tokyo are leading the ways. However, a more complete management system is not something many hospitals practice – yet! 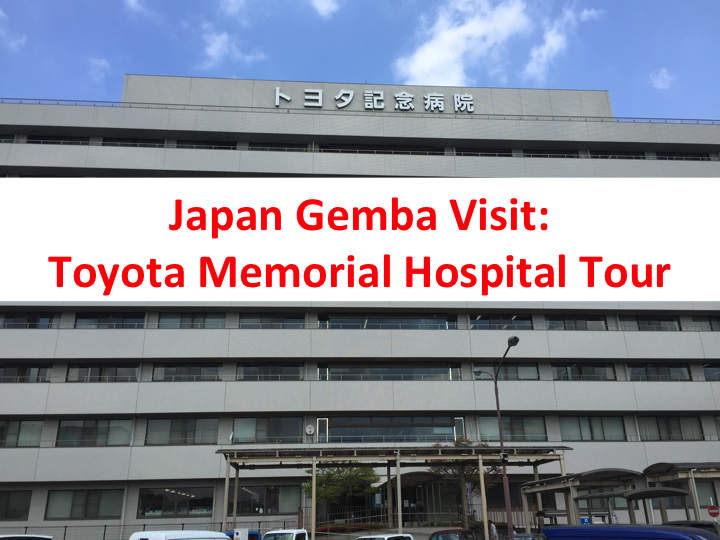 One hospital that is trying to bring the Toyota Way to hospital management is Toyota City’s own hospital, Toyota Memorial Hospital, which after my visit there earlier this year, I called it the “the most lean hospital in Japan”. I’ve written a 5-part series about my day of learning at Toyota Memorial if you are interested in learning more about how Toyota Memorial is practicing TPS. Nagoya University Hospital’s Yasuda said: “There is a world of difference between the cultures of Toyota and the medical care industry in terms of controlling work quality and maintaining safety. These words echo much of what I heard when talking to hospital leaders and physicians in Japan – that medical culture needs to change, but until recently, they did not consider learning from their manufacturing colleagues like hospitals in the U.S. and other Western countries have for over the past decade. But the times are changing! Suffice to say, I was very interested in learning more about the Asuishi program and how Toyota experts are being engaged to teach Japanese doctors about workflow improvements and the Toyota Way. I Googled the Asuishi program mentioned in the article and was taken to the program’s website. It’s completely in Japanese (which I can read a bit of, but not advanced enough to understand much! ), but thanks to Google translate, I was able to learn a bit more about the program. 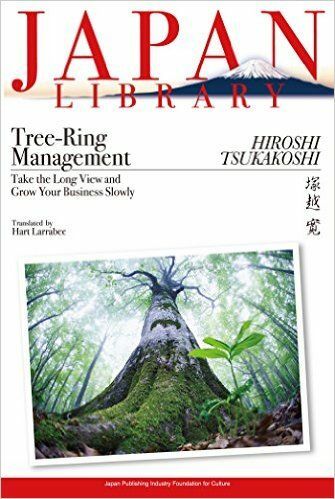 From what I can tell, the basic goal of the program is to teach the Toyota Business Principles to physicians in the greater Nagoya area. Cohorts of physicians are being trained over 6 month periods and a network is being developed for ongoing learning. One point that stood out to me from both the Japan Times article and the program website it that the Asuishi program is focused on quality and safety – one of the key pillars of the Toyota Production System. Called ASUISHI and subsidized by the government, the program is targeted at doctors across the nation and aimed at boosting safety and quality in medical care and treatment. Many people equate TPS or lean with just the efficiency pillar. When I’ve asked about examples of Lean / TPS in healthcare, most of the examples I’ve seen or heard about are related to flow of supplies, 5S, or patient flow, so it is great to see that the emphasis here is how lean thinking can also impact the delivery of quality healthcare. I also immediately emailed some of my Japanese healthcare colleagues in the hospitals mentioned above and my retired Toyota mentor, Mr. Isao Yoshino, to find out if they knew about or were involved with the program. Here are some of the additional things I learned from my correspondence with them that I can share with you. The name of the program “Asuishi” comes from the words “Asu” = tomorrow or future, and “Ishi” = doctor. The Toyota Motor Corporation division that is directly in charge of this Asuishi program is called TQM Promotion Office. The division’s primary job is to promote the concept of kaizen (continuous improvement) & TPS in and out of Toyota. While the TPS leaders at Toyota Memorial Hospital are not directly involved in the program, the hospital has sent a physician to participate in the Asuishi program. It is exciting for me to see more hospitals and physicians getting interested in learning about TPS and lean principles. There is a great opportunity in Japan to leverage the national knowledge and strength of TPS directly from the source, and to work to transform healthcare operations. As the chairman of Aso Iizuka Hospital, another one of the few hospitals formally experimenting with TPS / lean said at a healthcare conference last year, Japan should use it’s strengths to improve hospitals! I’m hoping that I’ll be able to go see and learn about the program first hand on a trip back to Japan next year. While I’ll be in Tokyo again next month, it is a short trip for some friends’ wedding and I’m won’t have time to venture out of the city of Tokyo this time. I may be living back in California, but my Lean learning in Japan and beyond continues! And, as promised, now that my life is getting stabilized in the U.S. (we have unpacked most of our moving boxes and the kids have started school) my intention to write about the many interesting experiences I had learning about Lean, leadership, healthcare and culture in Japan in my final months as a Tokyo resident. What do you think about the practice of TPS / Lean in healthcare in Japan? Are you surprised that hospitals are only just beginning to learn from their Toyota colleagues? Please leave your comments and reflections in the space below. And if you have any questions that you want me to ask Mr. Yoshino when I see him later this week in California, please leave them here too.